Twice the discs don’t have to mean twice the price! Easily store up to two discs with this classic double DVD case. 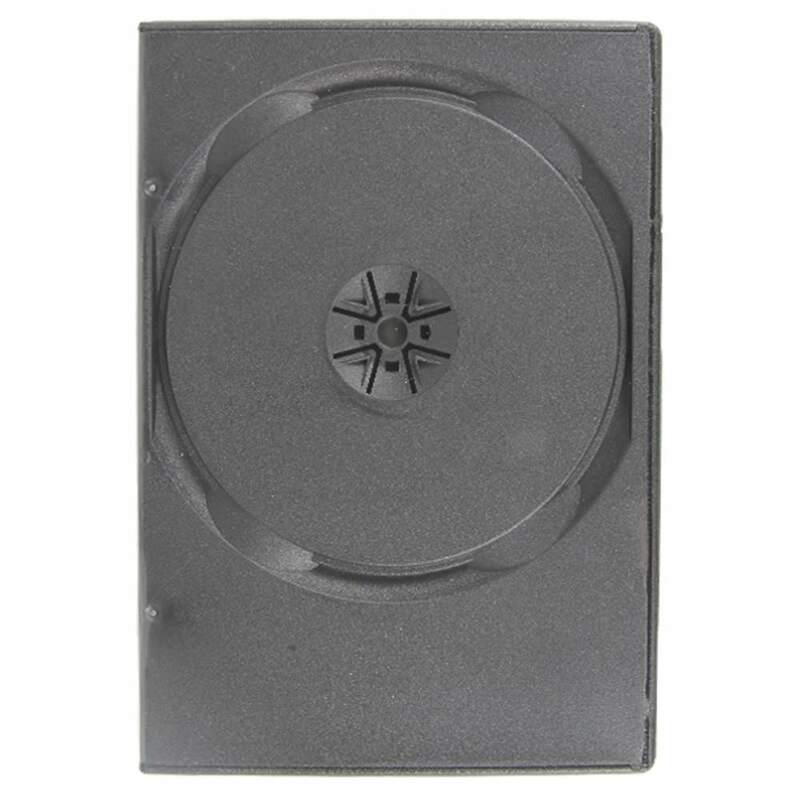 It holds standard sized discs in a traditional black casing. The case is the same as a standard DVD case, ensuring you don’t take up extra space in storage and making transport a breeze. Effortlessly access your disc with the pop of the hub button which also keeps your disc snugly in place. A clear vinyl sleeve on the cover allows printed artwork to shine. Protect your disc media with this affordable, convenient package. This double DVD case from US Digital Media stores two full size DVD or CD discs, yet it is the same width as a standard size DVD case. The center hub design holds discs securely in place; just press in the middle to release the disc! Features a clear vinyl sleeve on the outside to show off your cover artwork. Insert Sizes: Outer Entrapment: 7.125" x 10.75" DVD Case Insert: 4.9375" x 7.28"